St Peter and St Paul Church is open for visitors throughout the year. There are copies of the Parish Registers in the church for perusal. 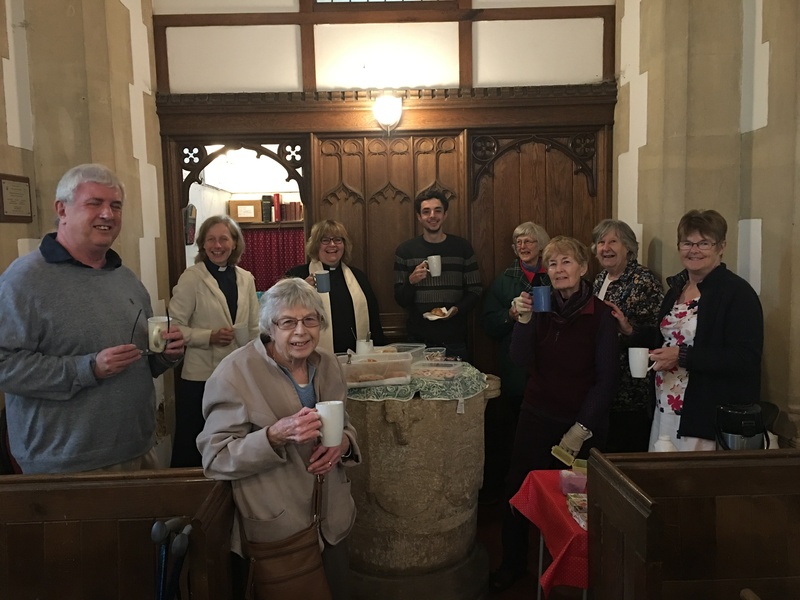 An informal ‘Family Breakfast Church’ takes place on the 1st Sunday of each month at 9.15. with continental style breakfast and a short act of worship. All are very welcome to this and all our services. Monthly Coffee Morning – 3rd Tuesday, 10.45 – 12.00, hosted at various homes in the village. Open to all. Ring Sue on 01235 848280 for venue. Fortnightly Wednesday Home Group – Ring Roz on 01235 848844 for details. Harvest Supper – usually in October – two-course meal and entertainment open to all. Street Nativity – With children dressed as shepherds, angels, wise men and ordinary citizens, meet at the Knap to journey along Church Street with a donkey, singing carols and telling the Christmas story, until journey–s end in a stable. 100 Club – the church runs this in the village, with extra bonuses at Christmas. Refreshments and Raffles at village Fun Days, Fetes and Barn Dances, etc. etc. Abingdon Food Bank collection box. Appleford Church is a landmark for miles around. The tower and spire are visible from Wittenham Clumps and Sires Hill, from all the local roads and from the Oxford to Paddington railway and the Thames Footpath. At the time of the Domesday Survey in 1086, Appleford was quite a large village, with 37 households (14 villagers, 22 smallholders and 1 slave), and its Lord was the Abbey of St Mary in Abingdon. Appleford was a place where apples from orchards at Harwell were carried across the Thames into Oxfordshire, by ford, and later by a bridge which has long gone. There appear to have been two churches in earlier times. As well as Saints Peter and Paul on the present site, there was a church dedicated to St Mary Magdalen near the southern end of the bridge. The local benefactor Edmund Bradstock was born around 1550, and was married in Appleford Church in 1579. In his will he provided for the education of poor children, and the free Bradstocks School was built in the grounds of his former home, now Orchard House. It is believed that in Saxon times there was a church on the site of St Peter and St Paul’s, probably found by Saint Birinus of Dorchester or one of his priests, although nothing remains of it today. Appleford is mentioned in the Domesday Book in a list of properties of Abingdon Abbey, so it is possible that the rebuilt Norman church on the site, dating from the 12th century, was linked to that Abbey. The blocked doorway on the north side of the nave is a surviving Norman feature, as is the font. In 1496 it became a chapel-of-ease to Sutton Courtenay. The oldest features of the Grade II listed building date from the time when the nave was rebuilt in the 12th century, and the chancel in the 13th century. There are two round-headed Norman doorways, one on the south wall inside the porch and another blocked one on the north wall opposite it. 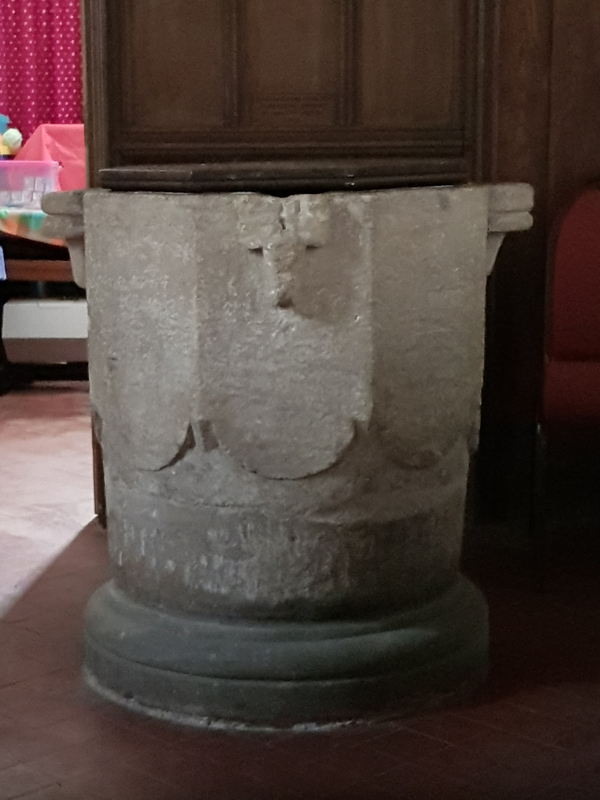 The attractive font is octagonal above and round below, and the piscina by the altar also dates from the 12th century. In the chancel there is an Early-English doorway in its south wall, and Early English lancet windows in the chancel north and south walls, and a Perpendicular window in the south wall that was added in the 16th century. The altar rails are 18th century. Between 1885 and 1887, at the expense of Walter Justice (to whom there is a memorial in the church and whose tomb can be found in the churchyard), the Norman nave was rebuilt and extended by nearly 6 feet, and a tower and steeple added, to designs by W Gillbee Scott. This allowed a peel of six bells, instead of four, and is a landmark for miles around in the flat and open Thames-side landscape. There are two of the original four bells remaining – the fourth bell, cast at Wokingham in the late 14th century, and the fifth by the same foundry in the late 15th century. The first, second, third and tenor bells were case or recast by John Warner and Sons of Cripplegate in 1886, in time to be rung for the golden Jubilee of Queen Victoria in 1887. Sadly, the bells are not in a condition to be rung at present. 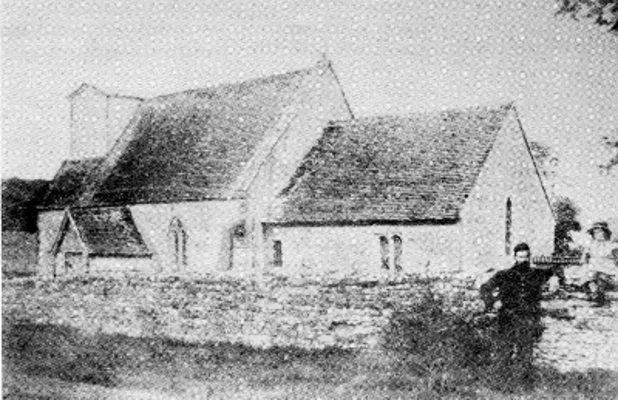 There is an interesting photograph in the church, dated 1882, of the building before enlargement. It looks as if the bells were housed in a dormer extension at the west end of the nave roof. The Samuel Green organ was built in 1777 for Abbey House of Sutton Courtenay, and moved to Appleford in 1855. It now stands in the archway created in the north wall of the chancel when the vestry was added in the 1880s. Most of the internal fittings in the church were also renewed at this time. The first recorded baptism at Appleford was 1564, and the first recorded wedding in 1567. The churchyard was not officially licensed for burials until 1749 though the first recorded burial was in 1564. In it can be found the tombs of the Justice family, first mentioned in the parish registers in 1548. The churchyard was extended in 1926. The path to the early 20th century church porch is lined with finely shaped yews. Electricity was installed in 1947, and the church narrowly avoided being burnt down in 1954, due to lack of water nearby. The internal roof timbers were again renewed in 1967. After 500 years as a chapelry of Sutton Courtenay, Appleford finally became a parish in 1998. The three altar kneelers depict important Appleford scenes - such as the apples which crossed the Thames here, and the first tractor engine race in 1950. There are also 20 pew kneelers stitched by various villagers; some commemorate personal occasions or people, some are abstract and others are more general illustrations of “things Applefordian”, such as the church organ. 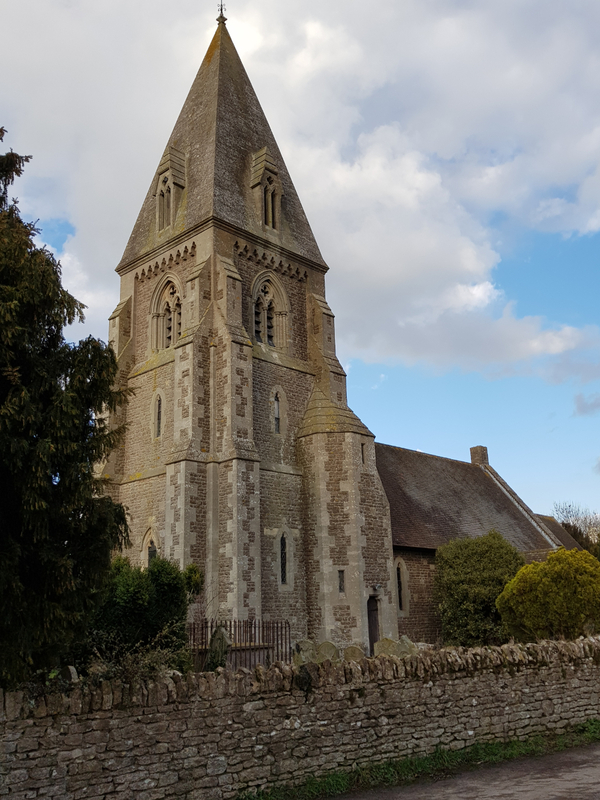 Further details can be obtained from the leaflet “ Appleford Church” written by Chris Owen which is available in the Church or on request from the Rector.